There isn’t any doubt in my mind at least that Wikipedia lives up to its definition as an “encyclopedia” and is a vast bank from where you can make daily withdrawals of knowledge 7 Ways To Learn Something New Every Day With Wikipedia 7 Ways To Learn Something New Every Day With Wikipedia Wikipedia is packed full of content. At the time of writing there are over 4 million articles contained within the English language version, with more being added all the time. All of these pages are... Read More . Wikipedia The Origins of Wikipedia: How It Came To Be [Geek History Lesson] The Origins of Wikipedia: How It Came To Be [Geek History Lesson] Read More is run by a vast army of volunteers. 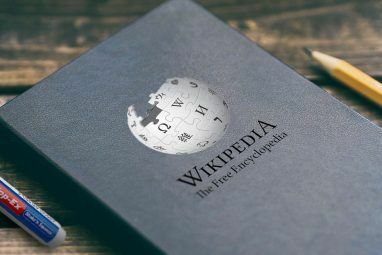 You will be surprised to know that as of September 2012, Wikipedia had 142 employees as against 19,225,872 “Wikipedians“, the volunteer army who hover around the online reference source in some form or another (both registered and unregistered users) and have helped make it the sixth most popular website. Why are we talking about this demographic? It’s because a number from here contribute to the information we see here every day. They add, update, and also delete. These can range from keying in the latest information and even covering up scandalous news. You can click on the View History (top-right) or the Recent Changes link on the side and see the edit wars that sometimes go on over controversial issues. The changes often looks like a chaotic mess, so if you want to track Wikipedia edits in real time and perhaps catch what’s breaking on the web, drop down to the next few lines. There are some actual benefits of sitting down with a few Wikipedia tools (like the ones below) and see what’s changing almost instantaneously on Wikipedia. Here are a few I can think of from the top of my head. Catch what’s trending: Quite a few Wikipedia edits and updates are in response to real world changes. That often indicates a “trend”, indicative of the popular stories which are being focused on by Wikipedians around the world. In many cases, you can check for yourself that a Wikipedia page gets updated as soon as news breaks. A social media in real-time: Wikipedia is crowdsourced and thus using a lose definition, is a social media site. You can see what changes are happening in real-time, how the information is being modified, and analyze what real world event could be causing the changes. Check credibility: Tracking changes on Wikipedia entries is a sure-fire method to check the integrity of the Wikipedia page and the organization/individual making the change. Information, if it has to be valuable, has to be accurate. A free content discovery engine: This one is for information junkies and those who love discovering arcane tidbits on the web or on Wikipedia. As a web author, I can tell the number of times it has helped me come up with new topics to write. Reputation management: Brands have a presence on Wikipedia. A search usually brings it within the top ten results. It’s important to monitor changes on not only the brand’s own page, but also related pages as well. Wikipedia vandalism is a real and present danger here. As the linked page will show, it is not only brands, but common information pages also get vandalized frequently. Making sense of information: The Wikipedia Stats page will show you the massive amount of edits that happen every day. To make sense of it all, you have to take the help of tracking tools and filters. There are 4,262,002 articles on Wikipedia currently. The English Wikipedia is 50 times larger than Encyclopedia Britannica. The one billion edit mark was crossed in 2010. WikiPulse (screenshot above) gives you an idea of the edits happening every minute. Mind boggling really! So here are some Wikipedia tracking tools to help you make sense out of it all and use the real-time information for your benefit. One of the first things you will notice on WikiStream is that the background image also updates automatically. Well, the main purpose of the tracking tool is to give you an idea of what’s happening in Wikipedia even as you try to come to grips with the numbers. You can filter the streaming results to show edits on a particular language version of Wikipedia and also according to the different resources on Wikipedia which are receiving the changes. A mouse-over reveals the changes. You can filter the page according to edit size too using the little slider. The page streaming too fast for you? Hit P to pause the page. As I mentioned before, there is a correlation between breaking news and Wikipedia edits in rapid succession. Wikipedia Live Monitor is a nice web app which is designed to alert anyone who cares about what’s breaking in Wikipedia. That usually says something about what’s breaking on the web. The Open Source project uses a set of unique algorithms to identify which edits actually qualify as breaking news candidate. It also does a “cross-language full-text social network searches on the social networks Twitter, Facebook, and Google+ as a plausibility check”. The project is linked to the research paper which goes into the method in greater detail. 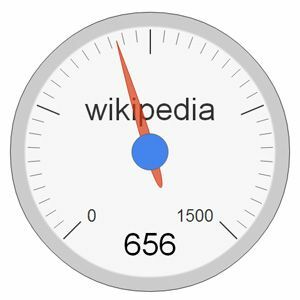 Among all the Wikipedia tracking tools, I believe WikiStats is the one which makes it easier to understand what’s happening with its easy to grasp interface. It is uncluttered and not as densely packed as the others. The columns with the information are all nicely arranged with WikiStats tracking articles with the highest number of edits spanning categories such as technology, banking, celebrities, politics, sports, and more. The site establishes a ranking out of 100 based on the number of edits, unique editors and lines added and removed. A detailed visualization (click on the article name) gives you the number of edits, and also the IP of the unregistered authors linked via two color wheels. You can click on a timeline to see the edit frequency each hour. Track Wikipedia edits on a world map. You can follow the updates on the map and catch the changes in more detail in the text box below. The edits come from unregistered Wikipedians, so this represents a small percentage (only 15%) of the actual changes happening on the site. Nonetheless, it is an important visualization. The map helps to show that edits happen from all corners of the globe and may be geographically unrelated to the topic at hand. There are ways to track single Wikipedia pages of course – Wikipedia’s own Atom feed and the Notifications system for the English Wikipedia. 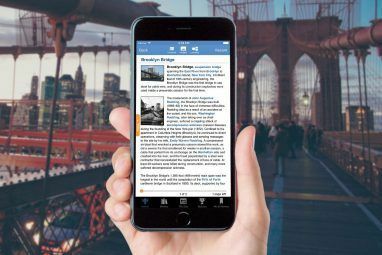 The four web apps offer a more comprehensive view of the Wikipedia ecosystem and help you grab the trending nuggets quickly. Some Wikipedia tracking services have gone down, but I am sure there are some more still out there. That’s what we would like to know from you in the comments. Also, tell us how you browse Wikipedia 10 Websites That Make Browsing Wikipedia More Fun 10 Websites That Make Browsing Wikipedia More Fun Read More — as a casual fun tool for information, or as a deeper one for research? 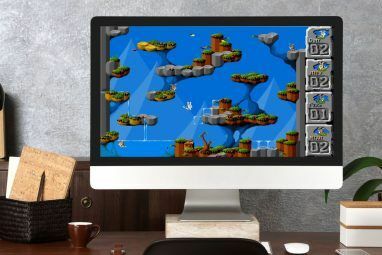 Either way, these four web apps could be useful.